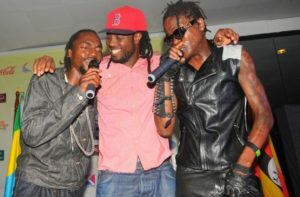 While performing to his fans in Mubende, singer Douglas Mayanja aka Weasel who is currently singing alone after the death of his singing partner the talented Mowzey Radio who passed on early this year came out and named his most favourite singers of all time ignoring Bebe cool who actually brought those artistes to the music scene in the 1990s. It seems that Weasel is still taking his beef with Bebecool to the next level despite Mowzey Radio’s death with whom they had a poor relationship over Zuena and Music. 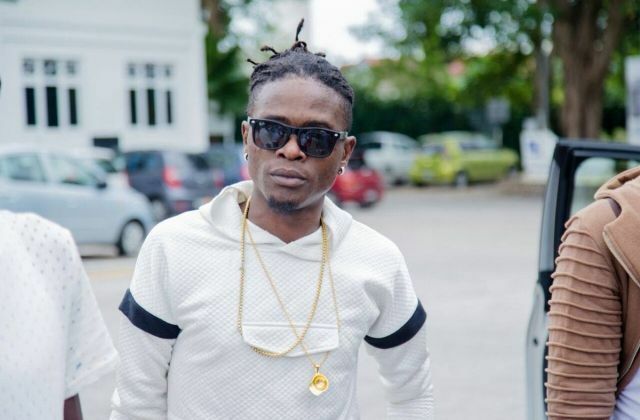 According to the tokyayitaba singer, Jose Chameleon his own blood brother and Bobi wine a musician turned politician are his best ever musicians and Ugandan celebrities who have stood for many years in the industry. “I would like to recognize two artistes who have stood the test of time, Jose Chameleon and Bobi wine. The rest, I don’t know.” He said leaving the crowds shouting. Weasel further warned the public about the one hit wonders who release songs every day and appear in Uganda celebrity news but cannot perform on stage for at least 30 minutes. Weasel’s controversial statement comes a few months after when singer Bebe cool of the onepikira song who released a list of his best performers of the year 2018 in Uganda news which saw singers like Geosteady, A Pass, Barbie Jay, Eddy Kenzo fighting. Most of them claimed that they are worth being mentioned on that list but never appeared. The kasepiki ko singer replied them that they should also release their own lists and include their names. 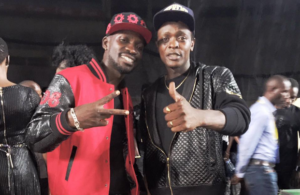 Wherever the beef takes these two artistes, nobody knows but Flash Uganda media will follow. Keep it Flash Uganda Media for more detailed news.